A compact development on a small undeveloped plot of vacant land, adjacent to the Grand Union Canal. Partnership working with Aldwyck Housing Group to create four, one bedroom maisonettes for general needs. The maisonettes were designed with a traditional massing but with a modern feel, with the forms of the roof and proportion of the dormers following the established street scene. Large windows and juilette balconies provide good levels of natural daylight and views overlooking the canal. 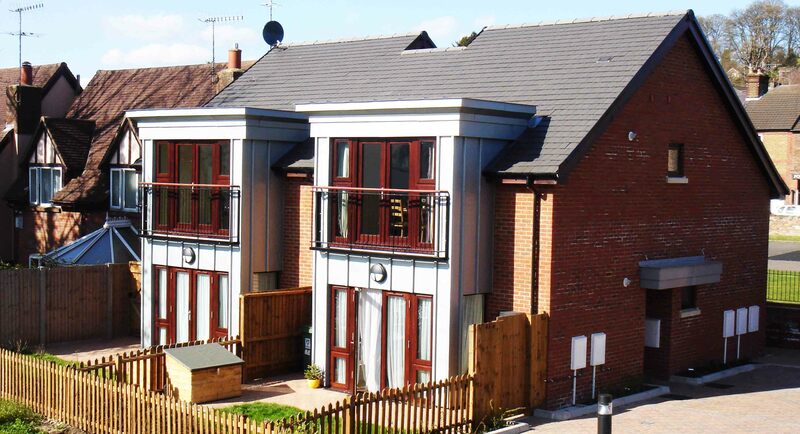 The scheme was completed in May 2008 and achieved an EcoHomes Very Good Rating.